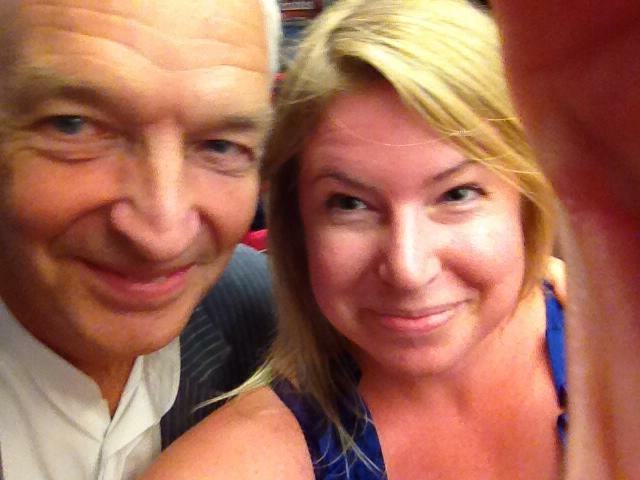 The other day I was on the train home after seeing To Kill A Mockingbird at Regent’s Park Open Air Theatre when I go chatting to news-reading legend Jon Snow. I’ve started the story with that artsy reference so you won’t judge me too much when I say my friends and I were initially too busy talking about boys to clock who we’d plonked ourselves down next to in the carriage. Jon Snow was trying to do some work on his laptop. I was asking my friends about the various merits of this random man I may or may not have a crush on. Jon Snow guffawed at a few points, gave up trying to type, and tried to read a paper instead. By this time, of course, I’d realised who we were sitting with. Still, he seemed to be entertained (sort off) so we carried on, loudly. We then talked about art, with one of my friends saying she didn’t like Grayson Perry. At this point Jon Snow could hold back no longer. ‘Oh no, it’s not pretty good, it’s marvellous,’ he said, or words to that effect. Anyway, for the rest of the journey (a good hour) we had a lovely time, talking about youth work (my friend and Jon Snow had that in common), medicine (my other friend and Jon Snow’s daughter had that in common) and, of course, boys. So basically I was sitting on a train, talking about bastards, with Jon Snow. It was only when I got home I realised I’d missed a golden opportunity. I should have asked to film a clip saying ‘you know nothing, Jon Snow’. What is it about spiders anyway?